Purchase this and earn 790 Classic Cash points! These Works competition seats were fitted to many British sports cars during the 1960’s and 1970’s. 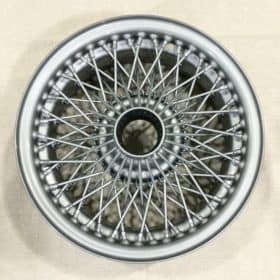 Fitted to Austin Healey, MGTD MGTF MGA, MGB, MGC, Midget, Sprite, Triumph TR3 TR4 TR4a TR250 TR6. Matching panel kits are available for most models. Extra soft grain matching vinyl available to make your own panels. These style seats were originally sold by DHMC Donald Healey Motor Co, BMC, John Sprinzel and others. Common on 1960’s and 1970’s sports cars raced in England and Europe as well as the USA. Found on sports cars that raced at Sebring, Watkins Glen, Bridgehampton, Thompson and Laguna Seca during this period. Note seats usually had contrasting piping on the seat cushion. 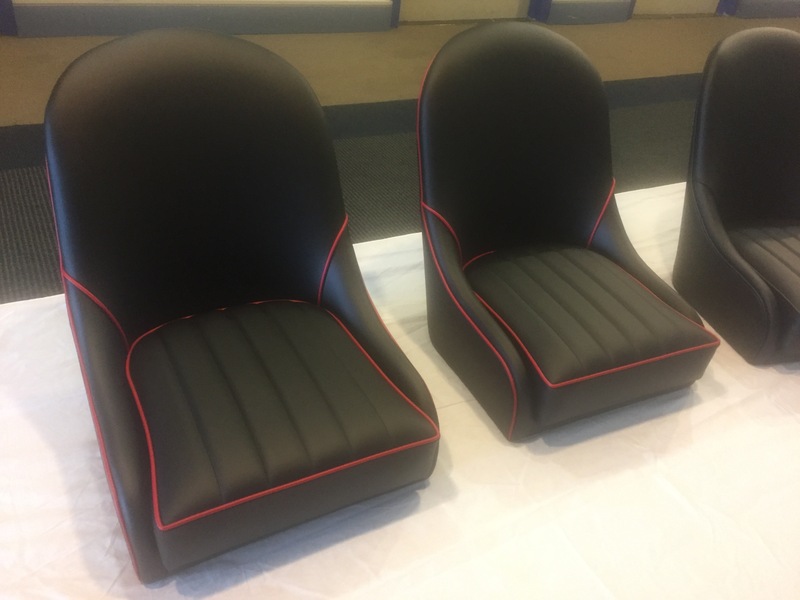 We can also offer full contrasting piping on the seat cushion, seat back and outer edge. If your looking for concours quality our Buckingham Classic Works Competition seat “DHMC” is the best available. Allow 4 to 6 weeks production time. Contact us regarding leather upgrade. Look closely at our seat construction and upholstery fit. Built to last on aluminum alloy frames. Not fiberglass. Check seat dimensions to make sure these seats will fit your vehicle. Call us to discuss color options, prior to order. Due to the variety of applications these seats fit, they do not come pre-drilled for sliders/seat rails. We have options for seat sliders available, contact us for details.